From Sunday to Friday. Departure every Sunday from the 9th of June to the 15th of September. 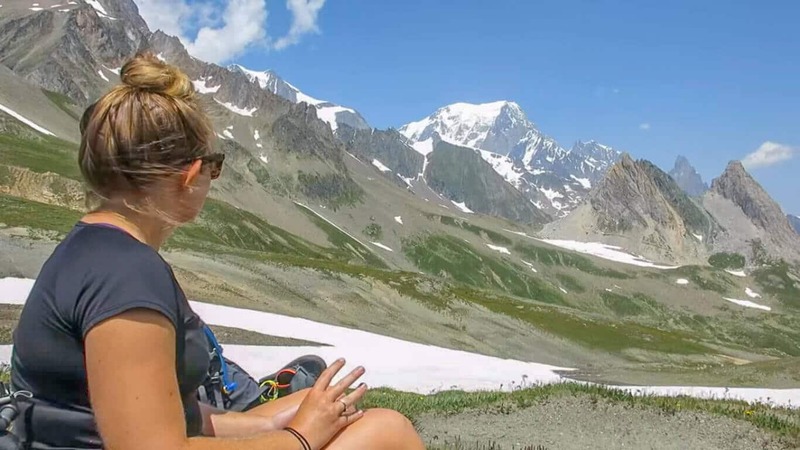 Would you like to behold stunning mountain scenery while relishing the world-famous Tour du Mont Blanc in the company of other fun tourists? Enjoy the exercise, socialising with like-minded people, the extraordinary views and the security of a certified guide. 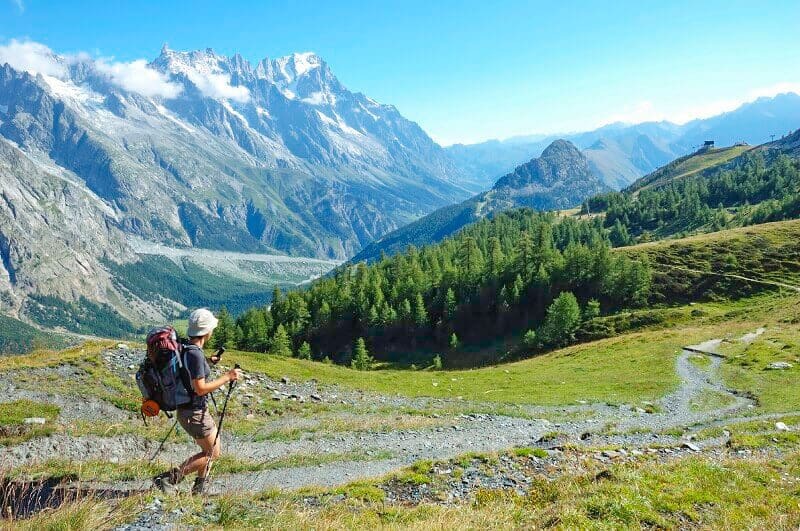 This iconic walking trail through the Alps passes through three countries offering three diverse experiences: the Italian slopes with their large rock faces; the Swiss slopes with their soft valleys; and the French glacial slopes. Depending on the precise route you take, there are ten or eleven passes to cross as the tour progresses from one valley to the next. Each of these valleys showcases unforgettable views and each has its own individual character. The ‘official’ route has changed over the course of the years and many alternatives, or ‘Variantes’, have evolved from the standard route. We’ve selected these stages on the TMB trail paths to save you from having to carry any unnecessary heavy equipment. There is no need for a bivouac, tent, stove or pan so you can hike in comfort with just a day pack. Altitude ranges between 1164m (Argentiere) and 2671m (Window of Arpette). The paths are well marked to ensure you remain safely on the route and this is a comfortable climb for hikers with a reasonable level of fitness. 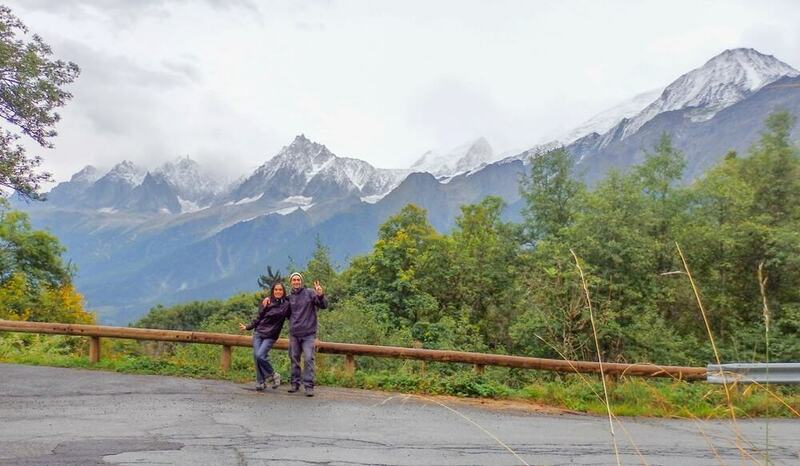 We, at One Foot Abroad, want to ensure that you get the maximum fun and enjoyment from your Tour du Mont Blanc. Your guide will be English-speaking and will be delighted to answer any questions you may have. Your group will be small – between 6 and 12 people – so it will be easy to make new friends. Therefore, it’s a terrific trip for people travelling alone, who want to share this gratifying experience with like-minded individuals. A mini-bus will follow your tour group for the entire journey to provide support. With one departure every week from late June to early September, you can choose a time that best suits you. You areguaranteed the trip of a lifetime! 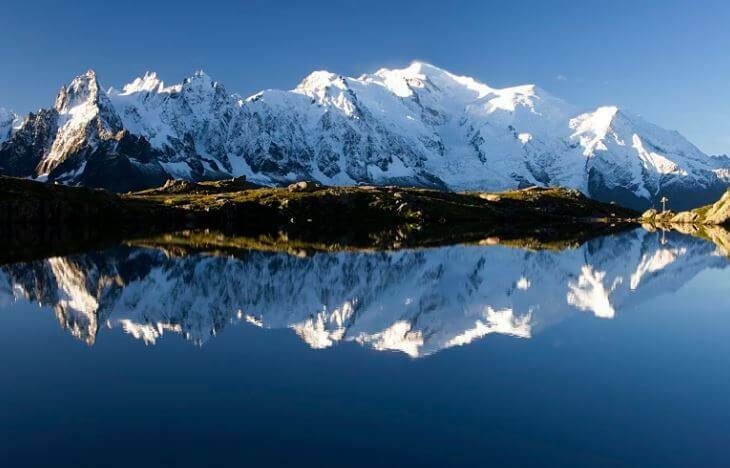 Mont Blanc is more than just the highest mountain in Europe west of the Caucasus. 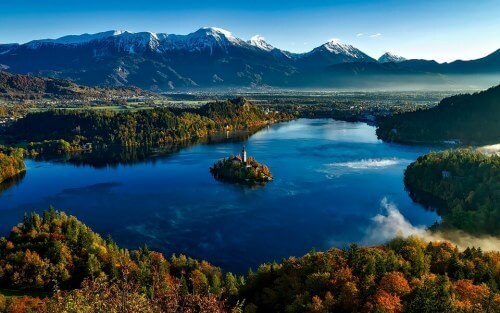 In fact, it’s a mountain range, compact and complete in itself. 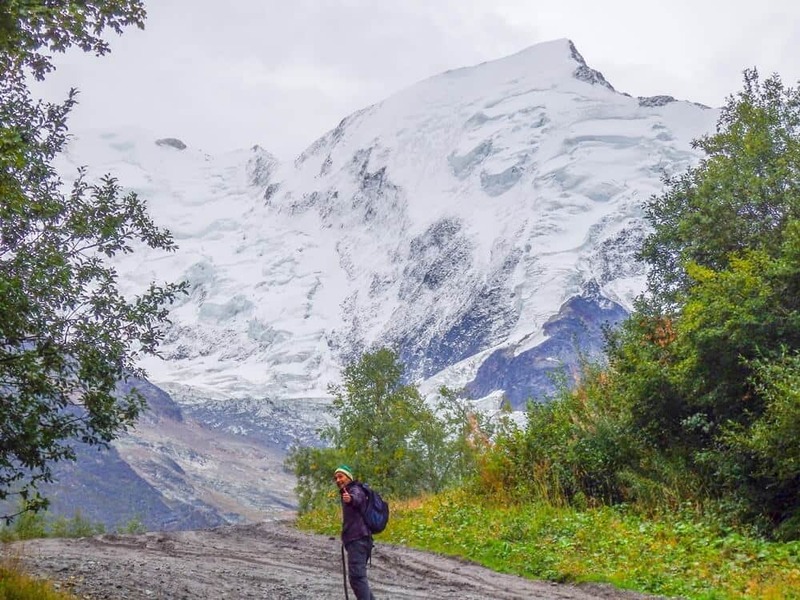 The Tour du Mont Blanc (TMB) is the most popular long walk in Europe and a highly desirable adventure for everyone who loves hiking in a beautiful environment. The TMB reveals some of the most exquisite mountain scenery and landscapes in the world. The first pedestrian tour around Mont Blanc took place as long ago as 1767, when Horace-Bénédict de Saussure and friends set out from Chamonix. Arthur Schopenhauer includes an anecdote that “Saussure is reported to have seen a moon so large that, when it rose over Mont Blanc, he did not recognize it and fainted with terror”. 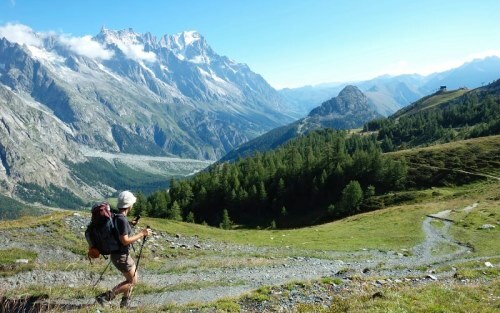 The guided Tour du Mont Blanc is perfect for you if you enjoy hiking through amazing mountain trails in great company. When you book with us, we will ensure that you are fully taken care of so that you get the maximum enjoyment from your tour. 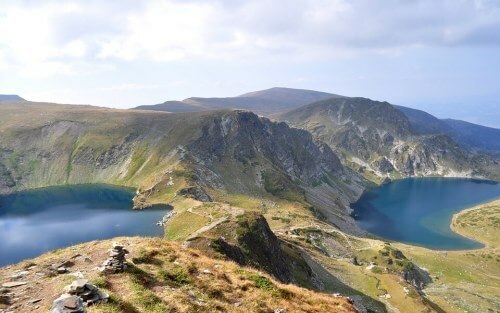 So if you have a reasonable level of fitness and would love a unique hike with fun companions, contact us to book now for a magnificent walking holiday. 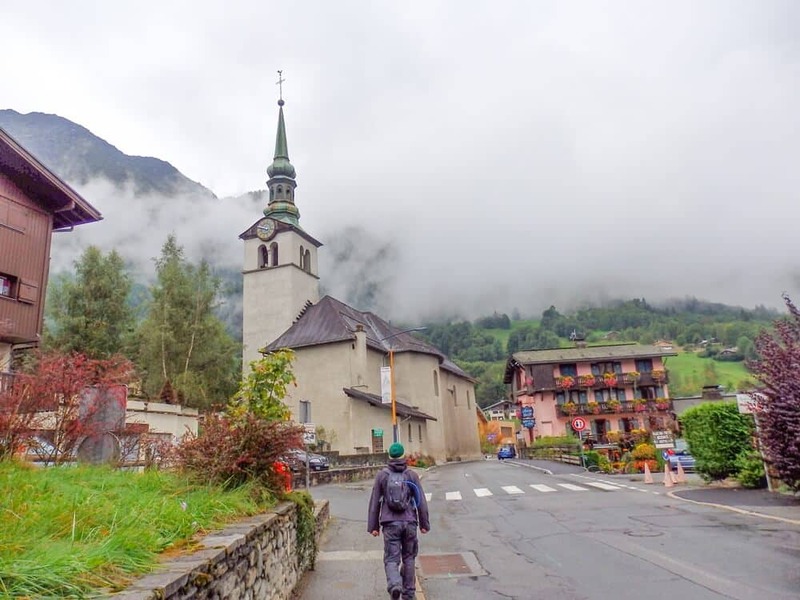 Located in the French Alps, Chamonix offers a true French European mountain experience with stunning hiking, old Savoyard culture and of course unforgettable views. Towering above Chamonix, Mont-Blanc is the tallest mountain in Europe reaching 4810m, 15,781ft. The views will blow you away. From the top of the Bellevue cable car, where we will have panoramic views on the Montblanc mountain range, the Aiguilles Rouges, the Fiz and the Aravis massifs. We will cross the suspended bridge over the Bionnassay torrent. A short uphill leads us to Col du Tricot overlooking the alpine hamlet of Miage. Descent towards Les Contamines to reach the Val Montjoie. Departure is from Notre Dame de la Gorge with its romantic Baroque church. At the Col du Bonhomme, we leave Val Montjoie behind us and head to Beaufortain towards the southernmost tip of the Mont-Blanc massif. The trail rolls down to the hidden valley of Les Chapieux. We head northeast and cross the French/Italian border at Col de la Seigne. From here, one can admire the breathtaking rock faces and the ice-covered summits of the south side of the Mont-Blanc mountain range. After a transfer to Arnuva, the trail gives access to the Grand Col Ferret, the border between Italy and Switzerland. Hikers can enjoy welcoming alpine meadows, and in the distance, snow-covered summits of the Dolent or l’A Neuve. Descent to the Swiss Val Ferret, and transfer to the charming village of Champex and its lake. Night at the Relais d’Arpette, a mountain chalet nested in the perched valley of Arpette. We hike from the Champex valley to the Trient valley. It will take us to the alpine pastures of Bovine. 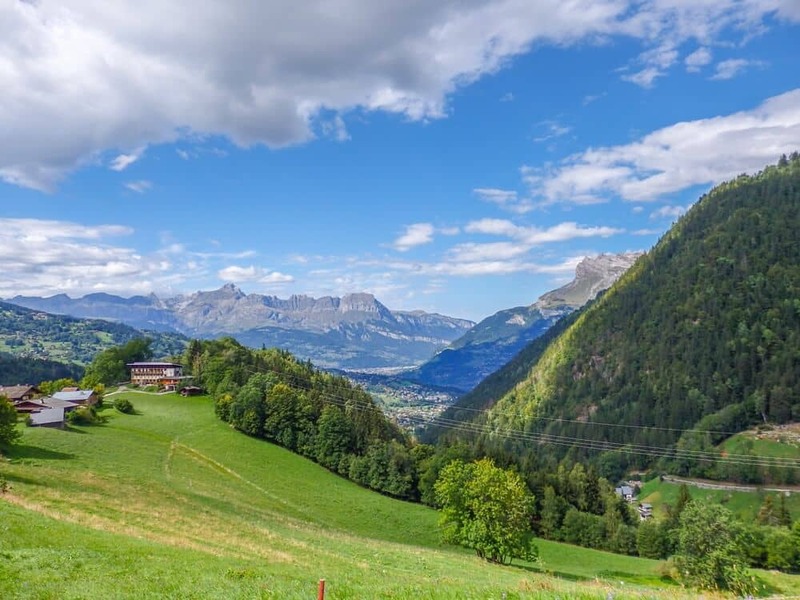 A balcony trail above the Rhone valley and its vineyards, allows us to admire the peaks of the Bernese Oberland and the steep summits of the Combin massif. After descending in the shade of the larches, we arrive at the Col de la Forclaz, a key passage between the Rhone and Trient valleys. A final hike up will take us to the Swiss/French frontier. From there, one can enjoy the Mont-Blanc and its magnificient glacier covered north faces. This fantastic background escorts our afternoon hike as we make our way down to the hamlet of le Tour. End of the trek. Transfer back to Chamonix. We can arrange extra nights anywhere on the itinerary after your last walking day. We can also arrange a station/airport transfer. Please get in touch: info@onefootabroad.com for more info. Please note that we can request a single room throughout the itinerary but we cannot guarantee the availability of the single room, as some accommodation providers do not wish to confirm single room straight away. If you are booked in a single room and eventually have to share a twin room, we will refund the difference of the single supplement for the relevant number of nights. On the last weekend of August (due to the UTMB), a supplement of €50 per night per person will apply for the night(s) in Chamonix. Also a transfer (included) will be arranged to an available hotel in one of the nearby towns. Best airport is Geneva International Airport. Other possible airports: Lyon International Airport or Paris Orly and Paris Charles De Gaulle. Check train transfers below to choose the most convenient airport. Geneva International Airport, 88 km west of Chamonix.